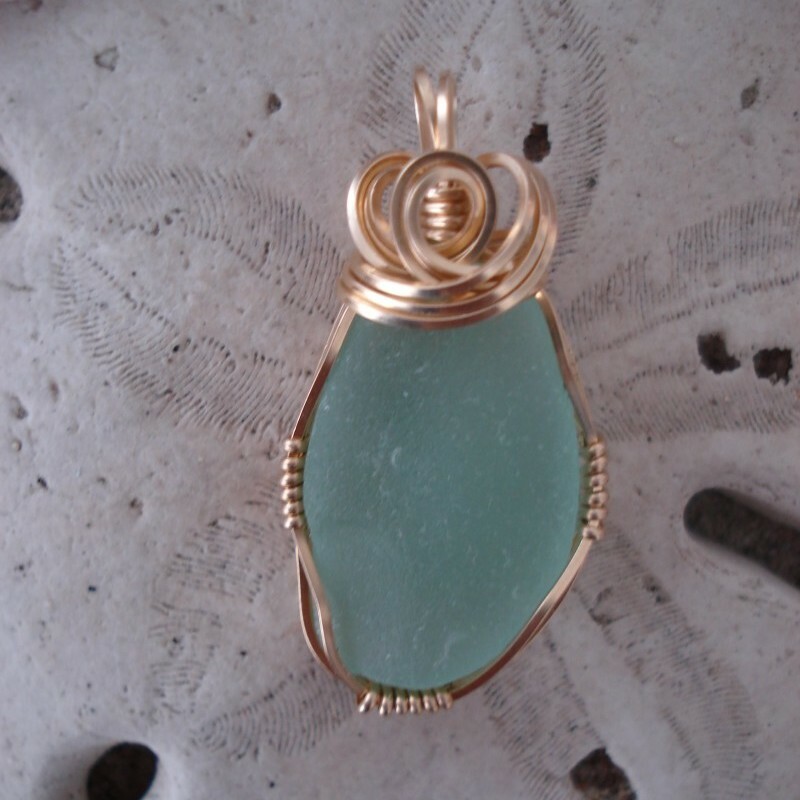 Teal sea glass pendant wrapped in 14kt gold filled wire. Teal is an unusual color and considered rare. 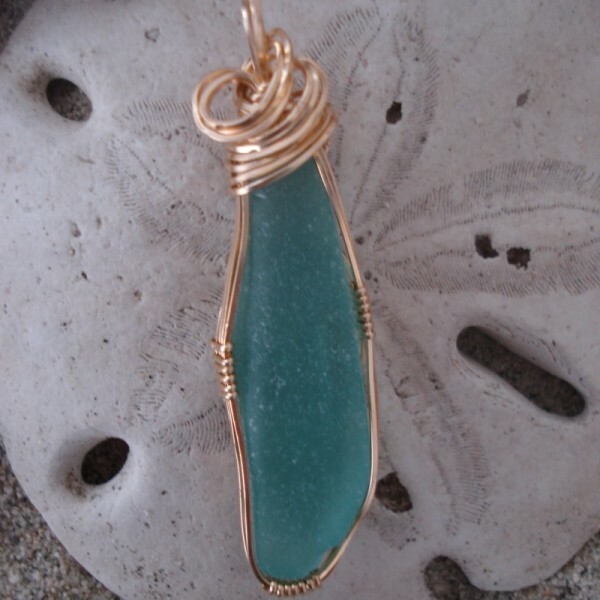 This teal sea glass pendant is one of a kind and totally gorgeous. About 2″ in length. Light and easy to wear. It comes with a 14kt gold filled chain in a lovely box for safe keeping. 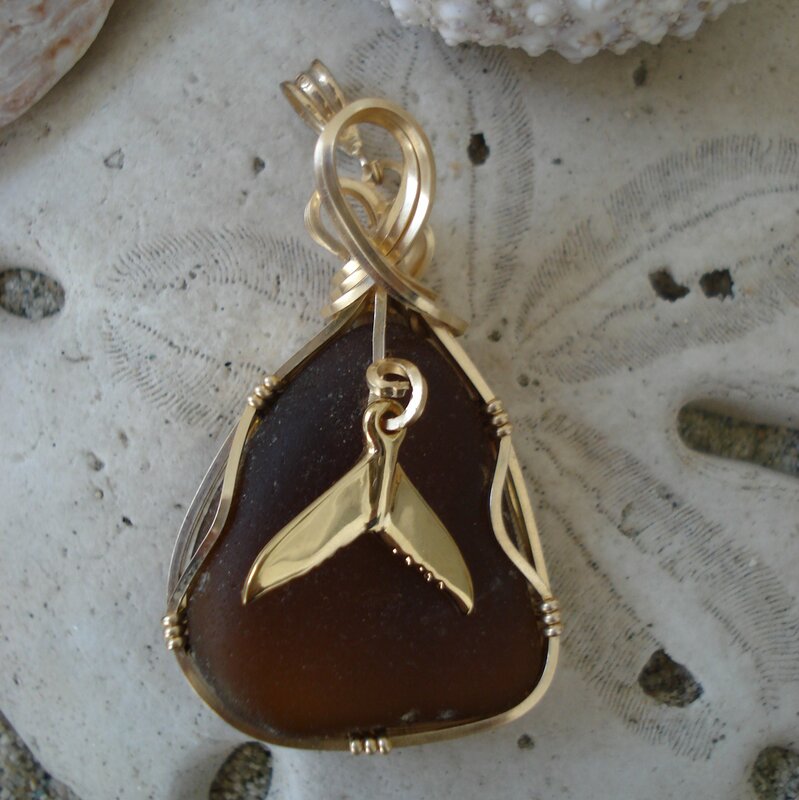 This is a pendant you can wear in the day or evening. Treat yourself to a memory of the beach.